Harry Andrew has a dream. The Oamaru Steam and Rail general manager said 300 passengers from the 10th International Penguin Conference in Dunedin this August were already booked to come to Oamaru with Dunedin Railways and, on Oamaru Steam and Rail track, head out to the Oamaru Blue Penguin Colony to watch Oamaru's little penguins come ashore. Modifications to the Oamaru Steam and Rail's terminus at Quarry Siding station at the Oamaru Harbour's red sheds were required in order to bring a Dunedin Railways car that far along the incorporated society's railway line, but Mr Andrew said he wanted to extend the line further - and he wanted to repeat the trip. ''The dream I would love to have is ... come up here [Oamaru], have tea ... go down to the penguin colony in the rail car, go back to Dunedin - have a night trip,'' he said. ''That's Harry's dream. 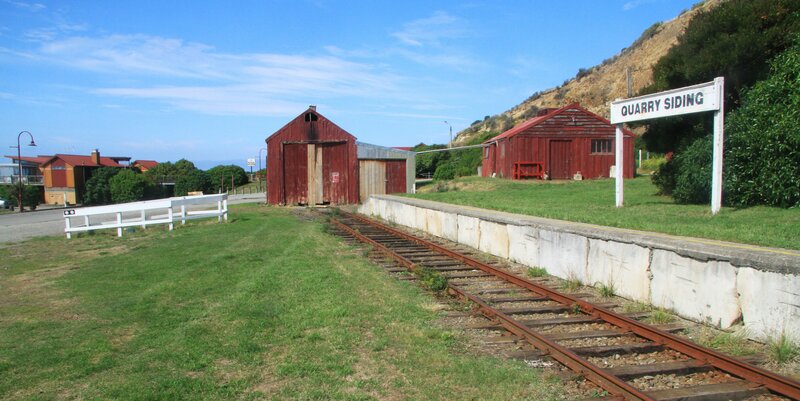 Mr Andrew, who had been with Oamaru Steam and Rail since its incorporation in 1986, built the Quarry Siding station roughly 20 years ago, but its 900mm platform was about 400mm too high. Further, the rail in place now along that section was ''too light'' for Dunedin Railways rail cars and the track would need to be shifted. He wanted the terminus to be as close to the penguin colony as possible. Mr Andrew had already done test runs with Dunedin Railways cars. Since last year, on five occasions, passengers with Dunedin Railways had transferred to Oamaru Steam and Rail track and finished their trip to Oamaru on a Sunday morning at the Friendly Bay pedestrian overbridge at the Oamaru Farmers' Market.